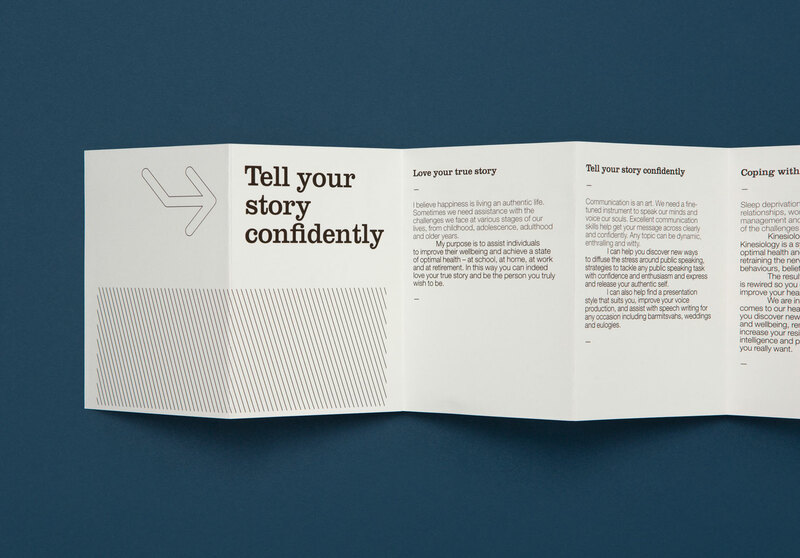 Portable self-promotional brochure for a speech therapist. 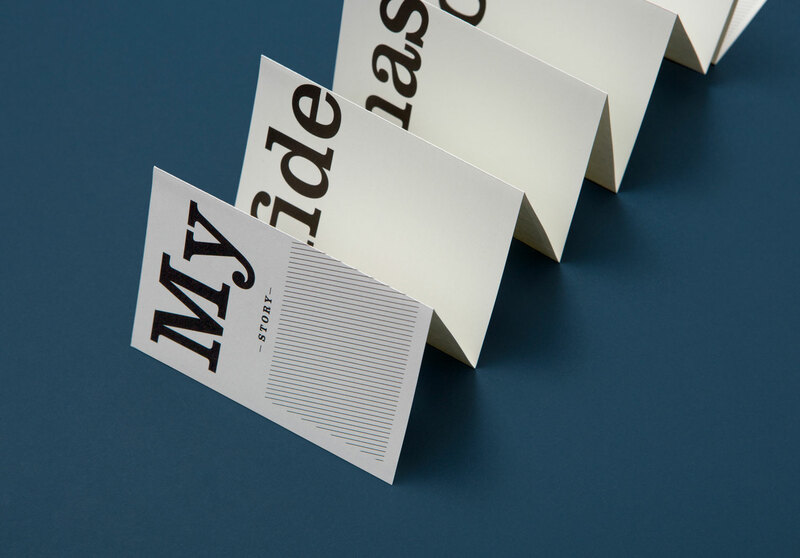 A small self-promotional brochure economically printed in only black employs language to shine. 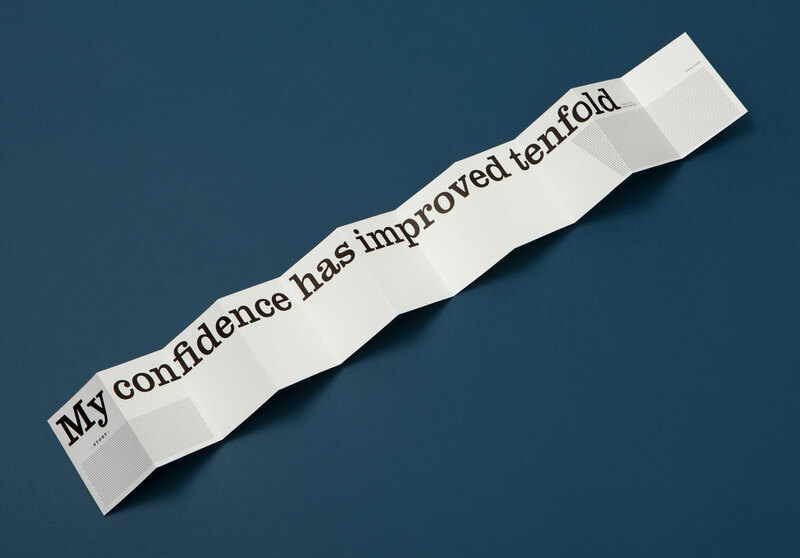 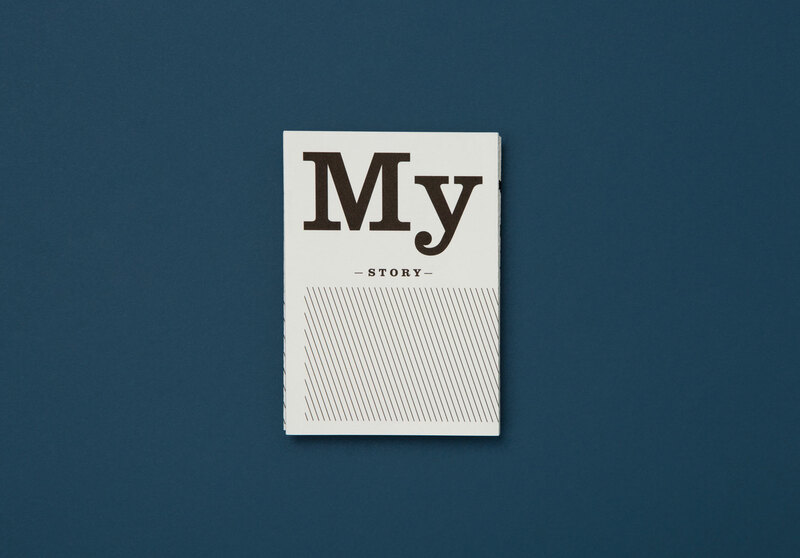 A recent client testimonial ‘My confidence has improved tenfold’ provided the inspiration for the concertina brochure folded ten times.